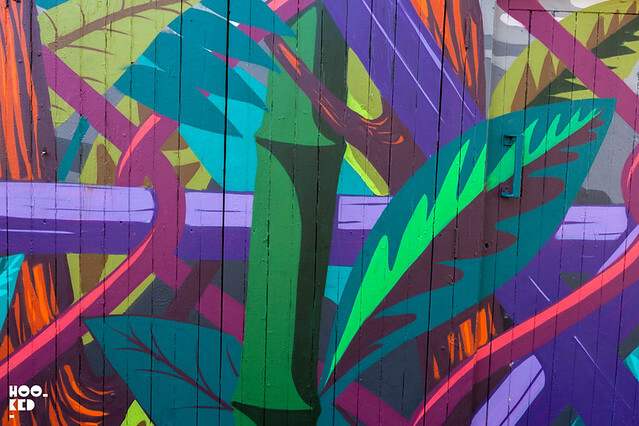 We have previous featured the new collaborative mural on Hanbury street featuring the vibrant work of Alexis Diaz and Elian (covered here) both of whom were in London for the 'Entre Muros' group exhibition currently on show at Mya Gallery in London. The show curated by by author and editor Maximiliano Ruiz also featured the work of Nelson Rivas aka Cekis from Chile and now based in New York. 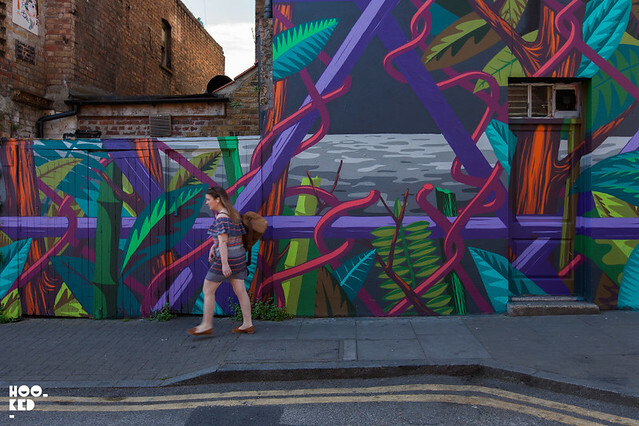 The Chilean native took the opportunity to take to the streets of London during his visit to the city and painted this mural pictured here. 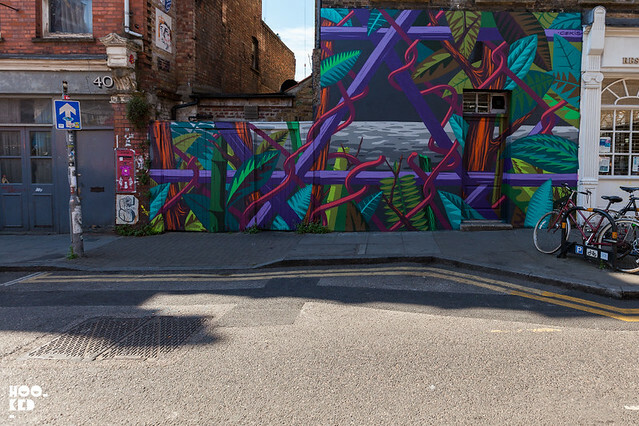 This new work from Cekis is located on Hanbury street, just opposite the work of Elian and Alexis Diaz. Entre Muros' is on show at MYA Gallery.